On 15 November 2017 i attended a Classical Guitar concert of the legendary guitarist Andrew York. After the concert i found the oppertunity to talk to Andrew and show him my latest guitar. 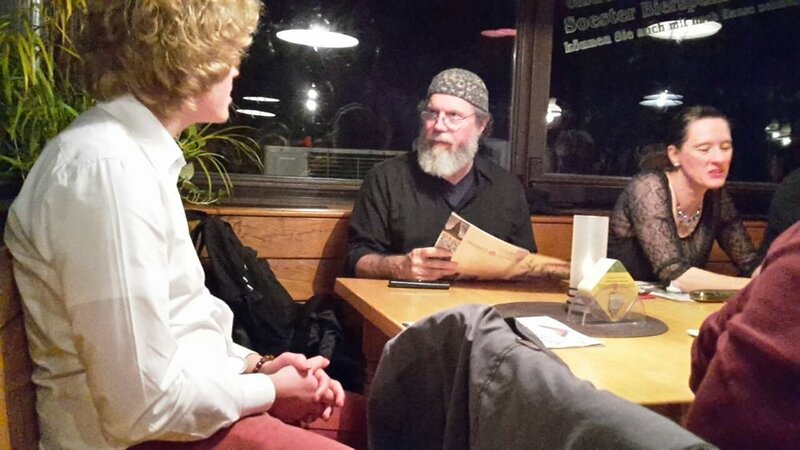 Afterwards i was invited to join him for Diner at the "Brauhaus Zwiebelhaus" in Soest, Germany. So we chatted about many things, While enjoying a fresh beer ofcourse. Mr. York prefers Brown Beer. Many things to talk about.